Discover the quintessential resort experience at the Hyatt Regency Newport Beach. Enjoy hospitality and breathtaking views of Newport Bay that soothe the soul. 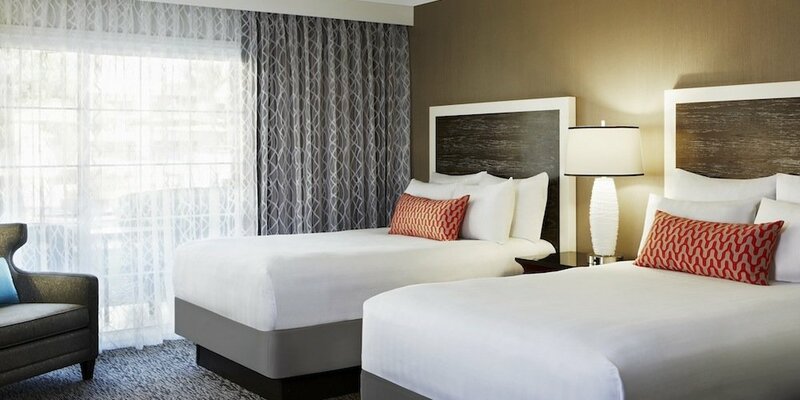 The Hyatt Regency Newport Beach hotel and resort boasts spacious accommodations with contemporary amenities, state-of-the art meeting rooms, incredible dining and unparalleled service. Make memories that will last a lifetime at our luxurious hotel in the heart of Newport Beach. 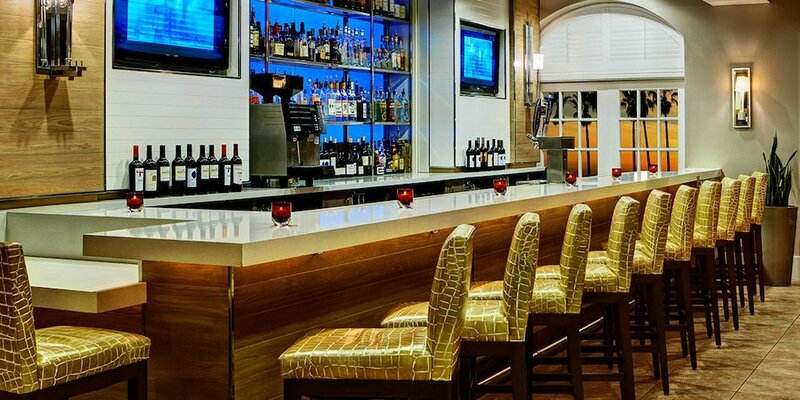 Experience the genuine hospitality and outstanding service that is the hallmark of the Hyatt Regency Newport Beach. Entertain clients on our executive golf course and enjoy sumptuous coastal cuisine at Shor Restaurant. Get refreshed in one of the sparkling pools and hot tubs. This Newport Beach hotel is the perfect place to relax, work, play, and get into the Southern California lifestyle. Whether your passion is world-class shopping, dining, boating, or performing arts –you’ll find it here in Newport Beach. Go sailing on beautiful Newport Bay, walk over the bridge to Balboa Island, explore Disneyland with your family, or relax on our stellar beaches. View the Hyatt Destinations Orange County City Guide for insider culture, restaurants, shopping, and events. There are a limited number of room packages available that offer a partial view of the concert. In addition to enjoying the concert from your balcony, your partial view upgrade includes Chef’s selection of local cheeses and fresh berries as well as a bottle of our featured wine. Upgrades to this package start as low as $100. Please contact the hotel reservations manager, Grant Godfrey (grant.godfrey@hyatt.com), to upgrade to this package. Getting to our Newport Beach resort is as easy as our Southern California lifestyle. Follow the map of Newport Beach, California, and use these directions to embark on an unforgettable Newport Beach vacation. The Hyatt Regency Newport beach is 5 miles from Orange County/John Wayne Airport and a short, scenic drive from San Diego. From Orange County/John Wayne Airport (5 miles): Exit airport to MacArthur Blvd., turn right. Continue 1 mile. Turn right on Jamboree Rd. Travel 3 miles south. Hotel is on right. From Los Angeles Int’l Airport (50 miles): Take 405 South (or 5 South to 55 South) to 73 South. Exit Jamboree Rd. and turn right. Travel 3 miles south. Hotel is on right. From San Diego Area: Take 5 North to 405 North. Exit Jamboree Rd. Turn left. Travel 5 miles south. Hotel is on right. From Palm Springs Area: Take I-10 West to CA-60 towards Los Angeles. Take CA-91 south becoming CA-91 West. Take CA-55 South. Take CA-73 South towards San Diego. Exit Jamboree Road and turn right. The hotel is on right in approximately 3 miles. 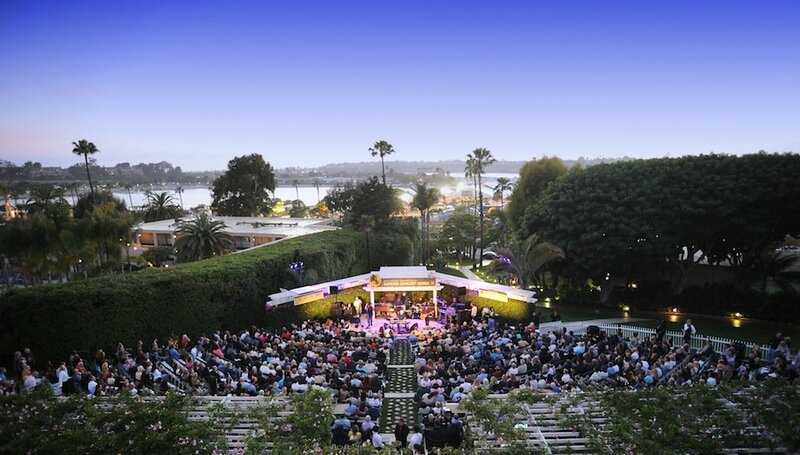 Bayside Restaurant, our partner for the 2017 Summer Concert Series, will be offering a complimentary shuttle service to and from the Hyatt Regency Newport Beach to all guests who dine with them prior to or after the show. To learn more about Bayside Restaurant, click here. © 2019 Summer Concert Series and Omega Events, Inc. All rights reserved.